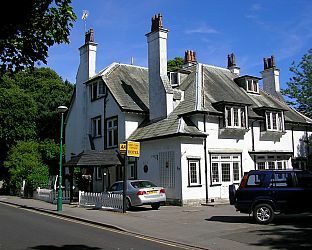 East Cliff Cottage Hotel can be found on a quiet road on the scenic East Cliff of Bournemouth. Ideally situated 2 - 3 minutes from the beach, and no more than 10 minutes from the Town Centre. With an option of Budget, Comfort and Superior rooms, designed to facilitate an enjoyable stay, whether that is a short break or a longer holiday. The owners, Andrew and Kim look forward to welcoming you. Visit Bournemouth Dorset and the surrounding villages and stay in bandb, hotel or self-catering accommodation provided by BedPosts members. Bournemouth in Dorset is a coastal town and popular holiday destination. The seven mile long beach is perfect for watersports and the pier has plenty of family amusements. If you seek accommodation near Bournemouth in Dorset you have come to the website of a “club” of providers who offer affordable quality accommodation around UK in hotels, bed and breakfasts, guesthouses, inns, and restaurants plus self-catering cottages and apartments .